In a city the size of Colorado Springs which is constantly changing and growing, it’s good to have some reliable sources of information. 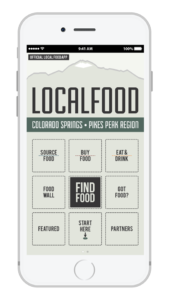 Whether you’re looking to go out for a bike ride, find locally sourced food, buy a house or report a problem to the city, there’s an app for that. 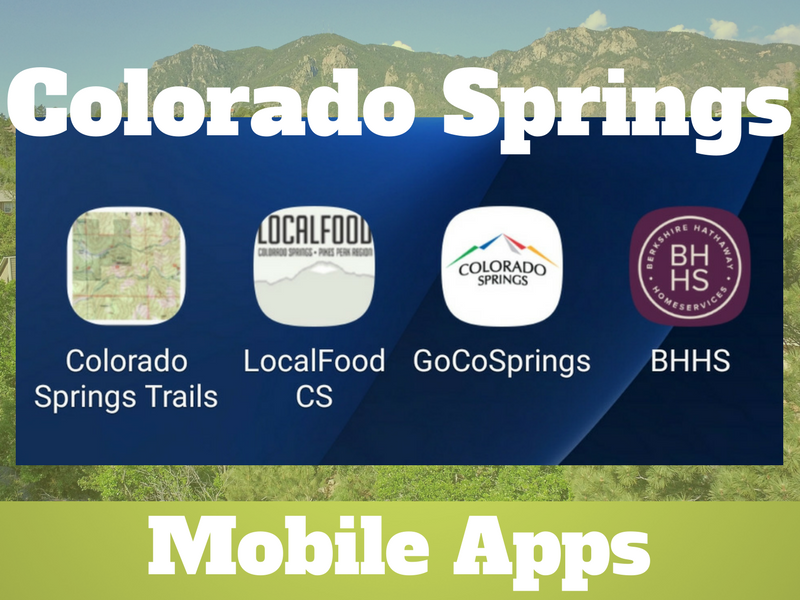 Take a look at our favorite apps for the Colorado Springs area. Grab your bike, your trail running shoes, or your walking stick and enjoy the many trails throughout the Colorado Springs area. This app provides pictures, maps and descriptions to help you navigate and mark these trails off the list of places you’ve been. You’ll be the expert tour guide when you’re out hiking with your friends, thanks to this free mobile app. 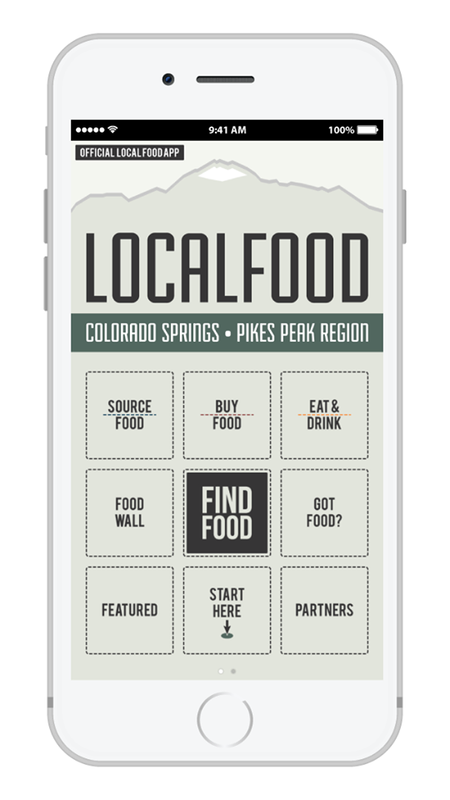 This app can be used by everyone to help encourage eating and sourcing local food. It meets the simplest needs of helping you find a great restaurant, food truck or bar to visit with friends or family. But you’ll be able to do much more than simply search. Now, you can connect with others to sell food if you are growing or producing locally and you can find others who source food like farmers, community gardens, coffee roasters and apiaries (also known as a bee yard). You can even find neighbors near you who want to sell their fresh eggs, berries or honey. Download the app from iTunes or Google Play, explore all the options, and enjoy the food! 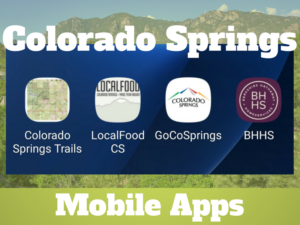 Most of us go online or use our mobile devices for information, and the city of Colorado Springs making it easy to find answers to questions about our community with a robust website, www.coloradosprings.gov, and a very cool app: GoCo Springs. Available on iTunes or the Google Playstore, GoCo Springs users can ask a question, report a problem like a pothole or graffiti, or submit feedback. Just select your topic and take a picture, if applicable. The app knows the location and sends your request directly to the correct city department. You can even track the progress of your request to make sure it is completed. You will even be able to check real-time information, like flight arrival and departures at the Colorado Springs Airport (COS) and find where the current “cone zones” are on the city streets to help you avoid delays. Plus, there are great opportunities to connect and reach out on social media, find contacts at the city, or learn about upcoming events. Finally, we’ve got a great app too! If you’re looking to purchase a home, find a rental, or search open houses near you, you’ll be able to find it all on the BHHS free mobile app. Use these handy mobile apps to explore this wonderful city and enjoy finding new things! Let us know what you find, what you like and if you have other great apps for exploring. Follow us on Instagram and use #iExploreCOS to share your pics and experiences.